Who wants to diagnose car troubles without any tools? 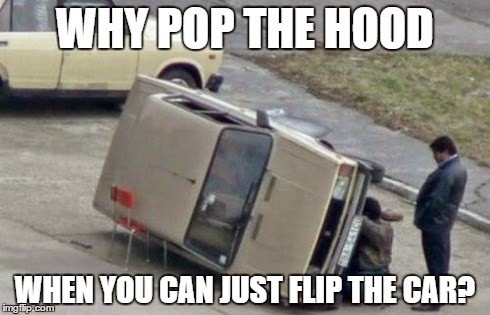 Better yet, who wants to build a car without any tools? Not normal people, I can tell you that much! As much as I don't really consider myself to be a normal person, I do fall into the category of persons that would prefer to have the proper tools to do a job, especially if that job is to setup a hybrid deployment between an Office 365 enviroment and an On-Prem environment (or to troubleshoot ensuing integration problems). Microsoft has a knack for building various tool sets around its products, and Office 365 and associated UC applications are no exception to that rule. As a matter of fact, this abundance of tools can start to get a little confusing, as some of the names are very similar, and functionality even seems to overlap a bit in some of the tools. This 3-part series will focus on tools for all aspects of an Office 365 Hybrid deployment or migration. The first post will focus on tools used for preparing your on-premises environment for integration with Office 365. The second post will be devoted completely to the Microsoft Azure Active Directory Sync Tool (DirSync). Finally, we will wrap up with the various tools that can be used to test different connectivity scenarios, and to troubleshoot issues that arise post-deployment. Sometimes it pays to use the right tools, or methodologies, from the beginning! A good starting point, though, is to know what those tools are. So, for all you Admins/Engineers out there that are getting ready to dive into Office 365 for your environment, especially if you are planning a hybrid environment or a complete migration, here are a couple tools that I think you will find incredibly useful at the beginning of your journey. Microsoft did us a solid by placing many of the tools that we would want right in the Office 365 Admin Center. 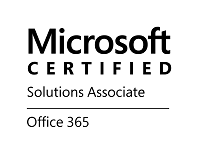 The Office 365 Readiness Checks are a great set of checks that are installed and run from our client PC/laptop. To get to these tools, you will need to be logged into the Office 365 Admin Center, and then you can browse here: https://portal.microsoftonline.com/tools. 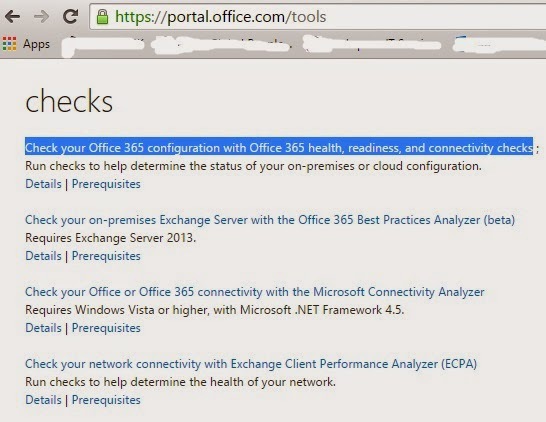 You can then click on the top link titled, Check your Office 365 configuration with Office 365 health, readiness, and connectivity checks (By the way, you will also notice that there are other tools in this section of the portal that we will discuss in a post later in the series). You will then be guided through the process of conducting these checks. These checks are great to run before your deployment, before launching new services in a deployment, and between each phase of a phased deployment. Your system requirements are fairly easy to meet: you need to have a client OS that is at least Windows 7 (64-bit), and .NET Framework 3.5 needs to be installed. 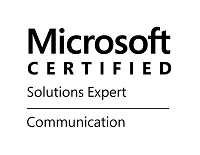 Keep in mind that these checks will be investigating different aspects of your environment, as well as your Office setup, and diagnosing its readiness for integration with Office 365. This means that you will want to be running these checks using an account that has admin-level permissions within the environment. Next up on the list, and the only other tool I am discussing concerning preparation for Office 365 integration, is the IdFix DirSync Remediation Tool. The name almost kind of reminds you of Microsoft's Fixit tool, doesn't it? At any rate, this tool is very important for saving you time that you may be spending trying to remediate errors that you could potentially run into when running the DirSync tool (discussed in the next post in this series). This tool is a download, and it requires at least Windows Server 2008 R2 on the server side, or Windows 7 (64-bit) on the client-side. It's purpose is to ensure that your Active Directory environment is in a ready state for running directory synchronization to Office 365. The tool does a discovery within your AD environment, and then identifies areas of remediation that are required before you attempt to run the DirSync tool. This could potentially save you a bunch of time trying to track down the root cause of errors that you would face in the DirSync tool. Let's consider the example of a company that has an on-prem Exchange and Lync setup, and uses the public domain 'contoso.org' for their email addresses. They they go and setup Office 365 with a domain called 'contoso.com', and they are using that domain for Exchange Online and Lync Online (excuse me, Skype for Business Online). When they attempt to run the DirSync tool between environments, they are going to run into errors because of the domain mismatch. This is where the IdFix tool can save them the headache, by identifying the incompatibilities ahead of time, and pointing the admin/engineer in the right direction to get the on-prem environment properly prepared. Well, that wraps it up for this post. While there are other tools out there that may assist in the preparation phase of a deployment, these two should get you started by ensuring that your environment is well prepared and compatible with your Office 365 environment. In our next post, we will dig into the DirSync tool a bit, going over some of the system and environment requirements for running the tool, and discussing a few key points about it. We will conclude the series after our discussion on DirSync by going over the various tools that can help in testing and troubleshooting client connectivity scenarios.